Home Destinations U.S. Atlantic Rocksgiving tournament helps fund two great causes. Anglers have another opportunity this month to score large migrating striped bass and win large prize money at the inaugural Rocksgiving Tournament on November 15th. 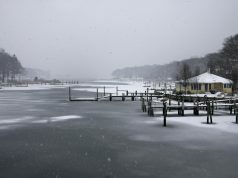 The tournament is headquartered in Annapolis at the Chesapeake Harbour Marina, which accommodates boats up to 110 feet in length and has a basin-wide depth of 8 feet (MLW). 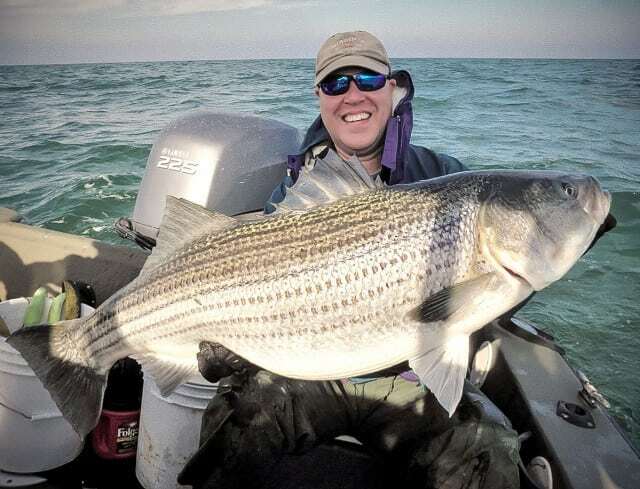 Any angler who is lucky and skilled enough to reel in a Maryland state record fish during the tournament will win the Grand Prize of $100,000. The tournament is also offering $10,000 to any angler weighing in the first striper more than 55 pounds. More modest yet substantial payouts are also planned for winning fish. Sam’s on the Waterfront will host an awards party from 4-8PM. Tournament entry fees will fill the prize money pot and also help fund two local causes: The Bowen Foundation and Chesapeake Bay Trust. The mission of the Bowen Foundation is to raise awareness and funds for the prevention, treatment, education, and research efforts related to autism spectrum disorders. 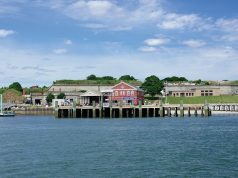 The Chesapeake Bay Trust is a nonprofit, grant-making organization focused on the preservation of the Chesapeake Bay and its tributaries in Maryland. Call (410) 268-1969 or visit rocksgiving.com. This month the water temperatures are cooler, the crowds are gone and the weather is usually still nice with daytime temperatures averaging in the 60s. Fish are also more active making them easier to catch; the shallow-water bite is particularly exciting this time of year. 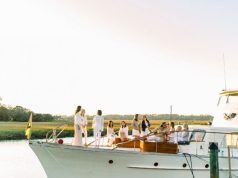 North Carolina’s coastal rivers, estuaries and sounds are typically filled with stripers, redfish, spotted sea trout, king mackerel, and more. Many charter boats offer both half-day and full-day runs, and the captains can put you on fish fast. It’s a prime time to catch and release, or take home the legal catch limit. Gift-giving season is approaching and the gift of knowledge is often a thoughtful choice. One recently published book by Johns Hopkins University Press is a great book to have on board. 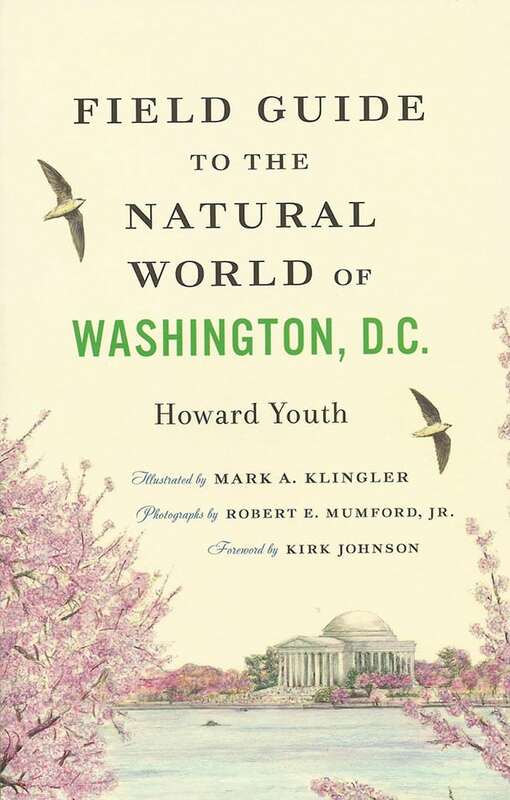 The Field Guide to the Natural World of Washington, D.C. by Howard Youth is not only informative and practical, but also full of beautiful wildlife art. It’s superbly illustrated by Mark A. Klingler and includes fine color photos by Robert E. Mumford, Jr. If you’re visiting D.C.—by boat, preferably—it’s a great guide to have on hand, since a stroll along the Potomac and Anacostia rivers can reveal bullfrogs, largemouth bass, ducks, snapping turtles, herons, and much more flora and fauna. Youth is a natural history writer and former associate editor and communications manager for the Friends of the National Zoo. Two other books by JH Press I have in my cabin and highly recommend are Life in the Chesapeake Bay by Alice and Robert Lipsson, and The Field Guide to Fishes of the Chesapeake Bay by Edward O. Murdy and John A. Musick.